Sony has revealed it will be hosting a series of live broadcasts, with the first one kicking off on 25th March. As you can probably imagine, people have had an absolute field day on social media with this announcement. Most comments appear to be poking fun at PlayStation for seemingly copying Nintendo's Direct presentations. Even our colleagues over at Push Square seem to agree the Japanese entertainment giant has taken a page out of Nintendo's book. After all, it wouldn't be the first time Sony PlayStation has shamelessly copied Nintendo. What do you think about Sony building hype with its own live broadcasts? Are you surprised it didn't happen sooner? Share your thoughts below. sony always copies lmaoo 💀 nothing new here. I'm surprised they haven't tried to do this sooner. Who cares? What's about this rivalry bs? What are you talking about, this is totally original and revolutionary. @Onkel_Laser This "article" is for the clicks. Nothing more. This is good news. As Nintendo has shown, this is a very good way to communicate with the fans. I hate the fact that people are bashing this simply because of how similar it is to a Nintendo Direct. The bimonthly to quarterly showcases are so much better than a huge info dump at E3 every year (Not that I think E3 is bad). I'm glad other companies are taking this route. @Heavyarms55 Where do you think Nintendo got the idea from? And PS4 will likely sell more than Switch. The thing is selling monsterously. Not throwing shade on Nintendo, I love both PS and Nintendo, but it’s unfair to say Sony hasn’t outdone Nintendo on some things. Next stop is what? Blizzard's Blizzcon is copying E3, Comicon, Pax etc.? @ballistic90 Countless companies have done video presentations about their products before dude, and that's all a Nintendo Direct is. That's all Sony's new State of Play is. It will be ZERO cute games from their Direct as always. I have decided what cute PS4 games can surpass my criteria and it will be LESS than 10 different titles. It just makes more sense to do this. Very low in cost compared to the often very costly E3 conferences. It’s not a copying Nintendo thing. It’s a saving money thing. I'd be surprised if it has the charm of a Nintendo Direct. Who wouldn't want to miss out on potentially more sales through advertising. I'm sure the big three all adopted the format once they saw the success of Nintendo's approach. What's the issue? It's not like Nintendo owns the concept of short livestreams that share information about upcoming games. PS4 might be sell monstrously but their games library are still NOT impress me monstrously. Nintendo games OFTENLY impress me monstrously. Being able to have announcements at your own leisure has been great for Nintendo-generate buzz and get people in on what they've got planned. Heck, it's like an early Christmas for me, even when I'm not wowed by the show. I'm only surprised that Sony, and by extension Microsoft, haven't tried to do their own thing sooner, especially with how much info can be lost with everything happening at E3. @Heavyarms55 prerecorded presentations involving collections of trailers and announcements with a connecting segments might be something a company does for an event related to their industry. The biggest characteristic of the Direct presentations are that they are the entire events in and of themselves, and are announced only days before they happen. They have some inspiration from Apple's yearly presentations, but Nintendo's "surprise!" format is pretty different. With the PS5 on the horizon, there aren't many big reveals left, so it doesn't make sense to hold a traditional E3 conference. But something like this in quiet period of the year that people can watch with tempered expectations? Makes sense imo. @Anti-Matter Not everything is about you and your interests. The only thing that matter is the majority. @Zuljaras Eh, to each their own. But if this industry was completely driven by the interests of the majority, it would be quite boring. It's a good thing everyone can find the games they like, even though they may be niche products. Are Sony and Microsoft both shamelessly copying Nintendo this week with their own "Direct" style video presentations (Sony's "State of Play" and Microsoft's "Nindies-like" presentation)? Sure they are...everyone can see that. But also...who cares? Its a business decision, and one I'm surprised the other two of the "big 3" gaming companies didn't adopt a while ago, even with having an E3 stage show. I think Directs have been a huge success for Nintendo...garnering hundreds of thousands of views...allowing the company to share info throughout the year and keep people excited about their products...also remind people of what they have coming up all through the year. Its great for the company...its great for the fans....its great to maintain hype year round. To be honest, I expected Microsoft and Sony to do this before now, but I think its a great way for an entertainment company like these are to keep their products fresh in fan's minds. I will be watching both (even though I don't own an Xbox) just to see the gaming news from the other giants in the industry. This is good news. Nintendo Direct also worked because Nintendo might be the only game company where even its execs are well-recognized by the fans. Now if they had that fake exec from the PS3 era... "Kevin Butler". I recall people liked that guy. That wasn't his real name though. Don't think he'd come back since Sony sued him a couple years later for appearing in a tire commercial while they were running some kind of Mario Kart or Wii giveaway promotion. Really surprised it's taken them this long to be honest. I'm personally not interested in watching Sony's ones though. Maybe if it was late at night so I could use it as a sleeping aid. "PlayStation Direct" is a joke that pretty much makes itself in this context, but it's also welcome news in my book. I like this format. Of course it's the same thing as Directs. But geez, people, the ridiculous statements against Sony are dumb. PlayStation is an awesome brand with some of the most beloved franchises of all time. High tide raises all ships. Chillax. I like Sony and I like Nintendo.Both make great games.I don't care if Sony is 'apparently' copying Nintendo I'm just glad that both keep in contact with their fans and announce new games. Whenever Sony borrows an idea from Nintendo it just reaffirms that Nintendo had a good idea to begin with. And that’s flattering, I’m sure. Yeah, Only hopefully with actual new AAA games announcements - not Random $15 Indies and games I played years ago. I'm excited. I think Directs are great and I love the no nonsense approach. As someone who owns and loves my PS4 I am very excited to see what Sony have to offer. I really want some more info on TLOU2. It’s fine, more communication are always good. Nintendo Life are copying Push Square? @Zuljaras @0muros Alright, take it easy you two. @Octane Sure thing. I even deleted my last 2 posts for the greater good. Me having both consoles, I think this is great. Nintendo is doing things extraordinary this couple of years. Sony "coping" is a way to try to make things better. The gamers are the real winners here. Competition makes them both push themselves harder, and that's always good. @tameshiyaku Partially because of Fallout 76? Man they dropped bombs with this one. Good lord there's so much hate here, it's like ice creeping into my veins, trying to solidify my meaty, pumping heart. Nintendo has their Directs, Microsoft has their Inside Xbox, Sony has their State of Play. I mean, they all went to E3 for years cause they knew it was a big gaming event. Now streams are the big thing, so all three are going to that. Sony following down the path should be no surprise. Apart from The Last of Us 2 I didn’t think Sony had any other software in the pipeline. Yeah they're copying Nintendo, but imitation is the highest form of flattery, and it's a great way to show off your games so good for Sony. Not personally a fan of the PS4 outside of Bloodborne and P5, but I prefer these types of presentations over E3 since that's only once a year. Like others have said, I doubt it'll have the same charm as a Nintendo Direct. "People have had an absolute field day on social media with this announcement." I feel deeply sorry for these people and how their lives have turned out if this is a field day for them. Just when you think console fanboy wars couldn't get any sadder, we're now trying to take credit for who came up with the idea of presenting things... Nintendo invented communication and everyone copied them! etc. I think people need to get a grip. You know something's up when even PushSquare agrees on the similarities. It's a dog eat dog world. It was only a matter of time since E3 is becoming less of a presence anyway. Since Microsoft is also doing it, why not let Sony join in on the party? @Anti-Matter We know that you dislike PS4, so why did you comment on this article? There are people here who do like PlayStation and are starting to get annoyed with you repeatedly stating your hatred towards the PS4. Thanks. Well this will take the sting out of them not being present at E3 for many who care about that sort of thing. I’m probably in the minority here in saying I wish companies would cut out the pageantry and just post trailers on their website or twitter for upcoming games. This whole” wait for it... wait for it... here you go” at the end of a 40 minute long video (70 percent games I don’t care about) is not for me. I know this industry thrives on hype and stringing people along, but I’m just numb to the whole cycle. Seriously. Does the team at Sony do anything original?!? It’s cool to see Nintendo leading the way. No probs with PlayStation following. Will be a nice way for PS to announce things. They’ve had so many great games this generation. But I think Nintendo will continue to do better with announcements because of their charm. Btw, could you help me to inform me any cute/kiddie games (rated E / E10+ or PEGI 3/7) from upcoming Sony Direct later ? I still have PS4 Slim and i need 1 or 2 upcoming PS4 games. Yep. Copying from the masters as always, but that's fine. These will be great to have especially during long lulls between NDirects like last time. It will lack the charm of a Direct for sure and I don't really use my PS4 since I'm not interested in most of its games, but there may be some cool stuff! Astro Bot sequel or DLC please!! FF7 remake update? Lol. Maybe I'm setting the bar a bit too high for their first Direct- er... whatever it's called. After reading through the comments here, I have a question for you Nintendolife: Do you take pleasure in baiting the more pathetic of your users? Have you seen the state of these comments that you're encouraging? They're the worst kind of fan boy drivel. Super Mario Maker 2 and Link's Awakening Remake were the big announcement of the last Nintendo Direct. Astral Chain was lucky not to have gotten completely overshadowed simply because it was a new game by Platinum. The last time Sony announced a major 1st party release was Ghosts of Tsushima from a year and a half ago. Don't expect much at all at this Stage of Play stream. Once again I'd like to show my love for Iwata by reminding you all that the Directs were HIS baby. Not Nintendo's per se. He was always a gamer and he wanted to be closer to us, and make us feel more involved in the company, which is why he used the Directs to communicate with us. So let's all remember to be thankful to Iwata for bringing us closer to the companies we love via more direct communications. Looking forward to it. I always get excited for Directs looking forward to what may be hitting my Switch in the future, so now I can get the same kind of excitement for my PS4! @Rodan2000, they actually have quite a bit of first party stuff in the pipeline. Blood & Truth (VR I believe), Concrete Genie, Days Gone, Death Stranding, Dreams (VR compatible), Everybody's Golf VR, Ghosts of Tsushima, tLoU2, MediEvil remake, MLB the Show 19, and whatever (probably smaller) announcements they make here. Ever since getting a PS4 last November I've actually been quite surprised by the quantity, and variety, of first party offerings on the system. @Anti-Matter What exactly do you mean by cute/kiddie games? Nobody cares guy. Grow up and stop whining and declaring your point of view as if it's the only one that matters. You want a reward or something for not liking PlayStation or whatever? Ok, then pat yourself on the back. Now that you are rewarded, you can start acting with some modicum of dignity, maybe a little bit of class, and stop having a fit over video game consoles. You seem so preoccupied with what is "cute", but then proceed to go and engage in totally barf-worthy behavior. On-Topic: Yes, this sounds similar to what Nintendo does, and should be good for PlayStation fans. 1. Any games rated E / E10+ or PEGI 3 / 7. 2. Cartoonish looking like Dragon Quest Builders or Portal Knights. 3. Definitely not realistic racing / sport games. 4. Must be in physical release. 6. Adorable looking, colorful and less violence. The magic 8-ball says: "It is decidedly so". I did it again to make sure and it came up: "Yes - definitely". @Anti-Matter I don't actually know if I'll watch it, but if I do I'll let you know. The main reason for my response was to politely ask you to stop being quite so negative towards PS4 as some readers are annoyed. Thanks! @Anti-Matter And of course I recommend every Kingdom Hearts game! I think you'd love them. Granted, I'm biased. I mean I guess it comes down to preference but the PS4 has amazing exclusives. They may not be your thing, but trust me, you can’t criticise PlayStation for their exclusives any more than you can criticise Nintendo for theirs. Both have a great selection. I'm not much of a PlayStation fan these days, but good on Sony for taking the Direct approach(pun intended). While I don't think E3 should go away, I do think the big publishers should drop the big presentations that are often filled with awkward moments and fluff. I also hope Sony's habit of announcing games way too early goes away too. Heck, we have games announced at E3 2015 like Days Gone that is barely coming out next month ans Dreams that still doesnt have a release window. I just added him to ignore. Solved that issue. @SBandy you can DO THAT?!?! Highlight the post and it shows an option to ignore. It is great! I got a switch and a ps4 cool more things to me to watch, i love my gaming videos!. @Quarth It's times like this that I appreciate @Tasuki laying down the law. God knows we definitely need his moderator position more so on this site. @westman98 never cared for SMM2 and I do not consider more $60 rehash on Switch as "new exciting games"
They do not need to - I am playing a new top 90 metracritic game right now (Sekiro) after coming from playing 2 other ones (KH3, DMC5) in less than 3 months. I am a massive fan of both playstation and Nintendo and play the switch, 3ds ps4 and vita regularly, so this is good news for me to look forward to "directs frok both companies". Makes sense why they are skipping E3. Hating the word "COPYING" its like saying every FPS copied the first one. If Nintendo make a standalone VR are you going to say they copied the PSVR? Every company out there uses ideas from each other such as fortnite and pubg and apex legends. But hey... Fanboys will be Fanboys I suppose. @Zuljaras yeah, fallout76 was fittingly an atomic bomb. Thought it was crazy that it came as such a surprise for many. It doesn't matter if you care about Mario Maker or Link's Awakening or not. They are clearly major titles that disprove your ridiculous theory that Nintendo Directs are filled with nothing but $15 indie games. I know you guys need clicks for revenue but damn, at least try to make an effort. @westman98 Again, I said "actual new AAA games announcements"... MM2 is nowhere near that - and Links awakening clearly fits under "rehashed games I played years ago". Super Mario Maker 2 is new, and while Link's Awakening isn't new but it has been overhauled so greatly (and the original game is so old that) that it may as well be. I think it's smart business copying what works. Í hate Sony bashing on Nintendo for their ideas, and thén shamelessly copying them. However, Sony seems to have amended their ways of late. So let's hope we can put this whole childish rivalry aside once and for all, and focus on the great experiences both companys bring us. It's the Sony company tagline: "Whatever Nintendo makes, we take!" @westman98 So you make your own post with that lowest of the low Standards. Just reinforces my 2nd point - hopefully this puts a fire under Nintendo to announce bigger and better things in future Directs. I mean, I expect both Mario Maker 2 and Link's Awakening to be great if not excellent games, and I would be disappointed if they weren't. Same with the rest of Nintendo's lineup this year i.e. Pokemon, Animal Crossing, Luigi's Mansion 3, Fire Emblem 3 Houses, Astral Chain, etc. In other words, my standards are that the games are good. If your standards are that the games must be bleeding edge cinematic action-adventures award-bait games, then that's a whole different story. I mean I hated the way Sony copied the Wii Remote but this is kind of a stretch. Digital conferences were a thing before Nintendo changed their E3 presentation format. Excellent, can't wait. Hoping to see more of Days Gone. As for the mockery on social media, that happens whenever any of the big 3 do anything anyway. If they had gone with a completely original and untested format that nobody had ever tried before people would call them fools for not doing it like Nintendo. Someone is always going to say something. Considering a lot of fans have been calling for them to give regular updates in this format I guess it was only a matter of time before they did it. I love when Nintendo do it, and I'm sure I'll love when PlayStation does it. @Rodan2000 PS exclusives in the pipeline: Next month is Days Gone, but listed for Spring release is also Concrete Genie. Dreams by Media Molecule is still anticipated sometime this year. Kojima is still developing Death Stranding for PlayStation, I can’t imagine Guerilla Games notmaking Horizon Zero Dawn 2 or Sony Santa Monica not working on God of War 2 (5). And there’s also Ghost of Tsushima in the works too. Hopefully those are some games to follow now. Plus whichever games that they announce in their PS State of Play announcements. No surprise here. Sony has only gone directly after whatever Nintendo is doing just to capitalize on the popularity. Nintendo leads in a lot of ways. I will also not be surprised when we get a Sony vita/switchstation5 that streams games from its psnow instead of being a traditional console too. But whatever, my ps4 has been a dust collector for 2 years now, and I’m sticking with my switch for a few more years at least at the rate it’s going right now. Nintendo copying playstation for online subscription and free monthly games (albeit classic games), now they're even, enjoy the best of both people!!! I have a PS4, One and Switch, and I am always excited about announcements from any of the big 3 companies. If Sony and Microsoft have directs of their own, that is awesome news. And you know some of those games shown in Sony/Microsoft directs might also be Switch games. If it’s full of ports then they are definitely copying. @Agramonte I love the experiences on PlayStation, but I actually like the way Nintendo makes games. The whole point of releasing new games for existing IP is that you expand the gameplay and concepts from previous titles. The gameplay in a Nintendo game is still something unique and rarely matched by other developers in the industry. I like Animal Crossing and 2D Zelda games. They are not going to blow the roof off the gaming industry, but neither are many PS4 games. The RE:2 remake was a very good Resident Evil game. Nothing more or less. DMC5 is not radically different from the other games either, but I really like playing it. So I’m with you in saying that I haven’t been playing as much Switch lately, but I know certain later releases are not going to disappoint. Cheers! I wouldn't call myself a Sony fan per se, but I see nothing wrong with this. IMO more game companies should be communicating with the fans like Nintendo has done with their Directs. Looking forward to it, will be nice to have regular updates from them, they've been so silent recently. Let's at least give Sony a chance before writing off these State of Play broadcasts. They'll probably go all out for the first one, then we can see if the quality of the broadcasts can consistently meet the standards that Nintendo Direct broadcasts set. I thought it was a ripoff of the State of the Union honestly. Oh for sure - why ZBOTW was Game of The Year. When they bring the real magic - Nintendo is like few others. Pointing fingers at Sony and Microsoft for copying Nintendo. Listing things Nintendo should copy from Sony and Microsoft. Next up, Sony's new PS5 hybrid video game system, the Playstation Swap. I’m looking forward to Ghost of Tsushima myself. They also have whatever the heck Death Stranding will be. That one I have zero interest in. Don’t toy with my emotions, I can’t handle it. I would love a PS5/Portable hybrid system. It won’t happen though, not if it could run PS5 games equally. If it couldn’t, then it’d be useless. Seriously? What a petty article and childish angle to take. I hope Sony/MS/Nintendo copy more off each other when they have good ideas. Be interesting to see how Sony do this. Nintendo have been building their messaging round these things for years now, which means secrecy and control of that messaging. That’s why at the last huge Direct Nintendo were able to announce AAA stuff like Mario Maker 2 and Links Awakening, along with Astral Chain and Tetris 99 that most people knew nothing about. Will third parties have announcements like the Rune Factory games and Hellblade for Sony’s equivalent? I hope so. Sony still have plenty of PS4 stuff on the way to talk more about, by will they have the wealth of new announcements Nintendo tends to have in these things or will they just concentrate on updates for stuff we already know about. And I'm very glad it is. More game announcements for me. It might help if people could see how many downvotes their own comments receive, and if that counter didn't stop at five? Would @Ooyah 's idea work @antdickens ? @Ooyah @Matthew010 it’s possible, yeah, but we’ve deliberately hidden how many downvotes you get as we feel some people will use that as motivation to be as controversial as possible to try and game the system and get a ‘high score’. Ah, I see what you mean. But I guess that the mods would stomp those? I just feel that seeing the downvote on their own comments could act as a disincentive for some? Else I am not entirely sure what purpose the downvote system currently serves? (Not that I know anything! lol Please don't interpret this as a criticism... it most certainly isn't. I'm just exploring the issue). I'm a Nintendo only player and any Playstation news is irrelevant for me. This site is still NINTENDO LIFE? Sony has done it before, so they're not copying. Many companies have done it before...so if this site is just starting fights and fanboyism, then nintendo has copied. Nintendo isn't the first for everything! Sony copies nintendo, nintendo copies sony, microsoft copies both (seriously, Super Lucky's Tale could just be called Mario!!!) and then you have Ubisoft, EA, Activision and just about every other company. Even if you go into stores, Target copies Walmart, Walmart copies Target. Who really cares? I'm a fan of both Sony and Nintendo and get tired of hearing the same thing on this site, where it seems like I'm reading the old X-box magazines where it was just bust on nintendo and sony. Give it up already! Sony had their flops, nintendo had their flops. If there's really an argument to be stated to get these nintendo-fanboys to really start to complain, here it goes...Why is nintendo so far behind in the times??? Anyways, this is the way that all the companies are probably going to be going with. Sony had this since the PS3 era with those TV episode broadcasts that you could download (forget what they're called). I guess I wish nintendo power was back in publication (not just online anymore). Seems that was the best way to hear about nintendo news without just busting on every other company. I'm imagining it will just be a bunch of people talking in cutscenes, since that's what most of the PS library is all about (aside from indies). I think this is great and all main console companies should adopt this format. Including Google. If it works, it works. Having an efficient and accessible outlet to your biggest fans is never a bad thing, and it allows for a larger spotlight on projects that might not get it otherwise. Just think, Sony used to have indies on their E3 stage until their first-party lineup became absolutely huge. 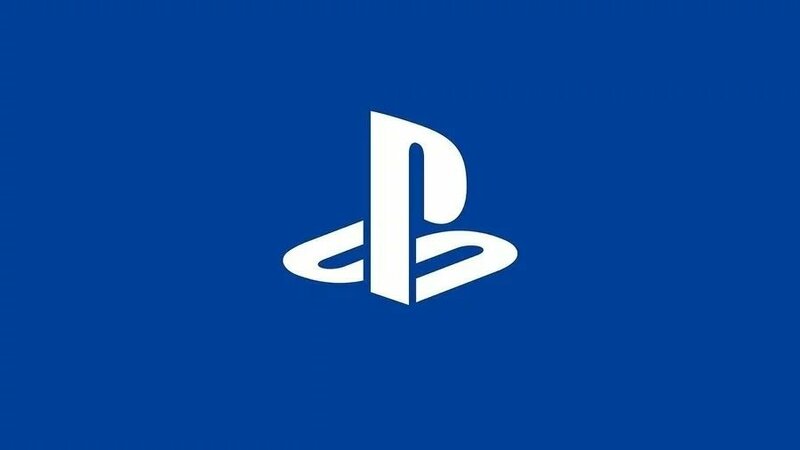 This could allow them to give indies on PlayStation a better chance to get viewed by core PS4 gamers who might not know about one of them otherwise. @JLPick Microsoft didn't make Super Lucky's Tale. @Tirza It was so irrelevant to you that you went out of your way to make sure that everyone knew how little you cared? Okay. Eh, NintendoLife already won by getting me to click on the article, so I might as well. If these State of Play presentations turn out to be just like Nintendo Directs, then sure, it's sort of copying. But bashing Sony for adopting an online presentation is sort of like bashing a pizza company for adopting online ordering. It's more about meeting a standard at this point. I’m fine with including PlayStation talk every now and then, if it’s relevant in some way to Nintendo, which, even if I think people are blowing this out of proportion, this would qualify under those parameters. I wouldn’t accept it as the norm, mind you. @JLPick “Sony had this since the PS3 era with those TV episode broadcasts that you could download” Oh wow, you’re completely right. I forgot about those. The moment I read this comment I immediately remembered the episode I watched for the first InFamous game. Those were pretty fun. @MisterKorman Sorry, I thought it was their game studio that did it, but I looked and it wasn't! My apologies, but thanks for the heads up on it! That State of Play livestream lasted a mere 20 minutes. One new PS4 game was announced (Ready Set Heroes) + several PSVR titles/PSVR compatibility. In other words, it was mostly a bunch of nothing. Even the worst Nintendo Directs were better than this. You'd think they'd wait until they had a bunch of new stuff to show off to do this. It almost seems like they rushed this out even though no one was even expecting them to make a video like this and thus could have waited until they could have a big reveal. @MisterKorman As you showed, my opinion matters. @Tirza Oh boy, you seriously showed me.